It is fascinating to think that Pine Gap in the Northern Territory is US territory not Australian. I remember talking to people in Alice Spring who told me they have seen people who work there coming into town with dark glasses. They drive in tinted vans. I have to laugh although I am sure they are not laughing. That is why our world is not secure. We believe security is defence, I wonder if it is embracing diversity and building friendship globally? I wonder if that is the real security? What is its relevance to the Australian people of a secret American spy facility given changes in diplomatic relations and the movement away from democratic values over time. The recent change in Presidency has caused flux in Canberra. I hear Michael Moore’s words ‘whose your daddy?’ I do laugh and realise these days we are all awakening to the power politics globally and wonder when those who truly live the values will arise in principled leadership breaking hegemony and opening to shared values. An operating democracy is visible and it was J.F.K. who said that “secrecy is repugnant in a free and open society.” I wonder when there will be a genuine commitment to the values of democracy. I do feel the Americans are to see themselves in a mirror of their own making. The enemy is never out there, always it is within disowned and projected outward. Imagine if they scanned and listened for goodwill, opportunity, friendship and unity and expanded it. We have moved so far from our true nature that we are unrecognisable at this time. Although change is happening which is uncontrollable and inspirational. Our world is going through a profound transition. I send love and peace to the C.I.A. and those in Pine Gap and I ask them to reflect on their true purpose without a story and will it serve their children and future generations? Are they dedicated to fear or peace? For one will lead us to a renewable earth. This is my loving inquiry. Below is an ABC report University of Melbourne’s Professor Richard Tanter said the risks Pine Gap represented were as great as ever, and that the Defence Department remained internally concerned the base was a high-priority nuclear target. 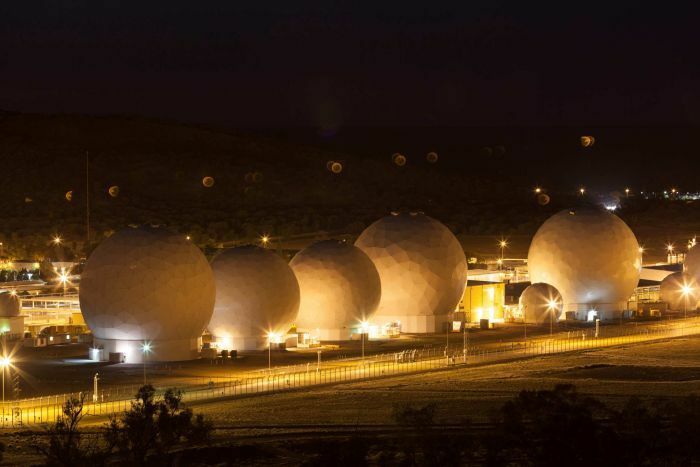 A top secret CIA document from the end of the Cold War shows just how likely it is that the Northern Territory’s Pine Gap joint spy base could be a target, a foreign policy expert has said. The CIA this month put nearly a million historical documents online, and the 1980s document shows authorities expected the Pine Gap joint spy base near Alice Springs to be attacked in the event of a US-Soviet nuclear fight. A 1987 briefing, marked “top secret”, refers to a draft Australian defence white paper given to the US that conceded Pine Gap “would be attacked” if the US and the Soviet Union had a nuclear fight. But Australia’s final white paper that year used different wording. It said in the event of such a remote chance of nuclear conflict, there was a “risk” the spy base “might” be attacked. The University of Melbourne’s Professor Richard Tanter said the risks Pine Gap represented were as great as ever, and that the Defence Department remained internally concerned the base was a high-priority nuclear target. Professor Tanter, also a senior researcher at the Nautilus Institute for Security and Sustainability, said a country such as China could not yet reach Pine Gap with conventionally armed missiles. “It does, however, have more than one set of land-based missiles, which could certainly reach Pine Gap as well as submarine-launch missiles,” he said. Professor Tanter said the difference in language between the Australian and US briefings from 1987 was revealing and said there needed to be an “informed debate” about Pine Gap, to allow the public to make up its own mind. He said he expected Australians would begin to rethink ties to America in light of Donald Trump taking the reins.